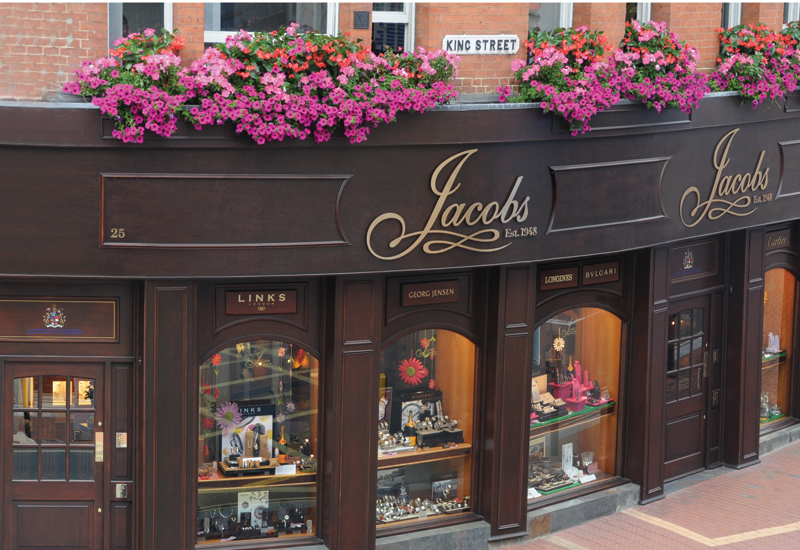 Reading-based Jacobs the Jewellers has completed its year-long 70th anniversary fundraising campaign. 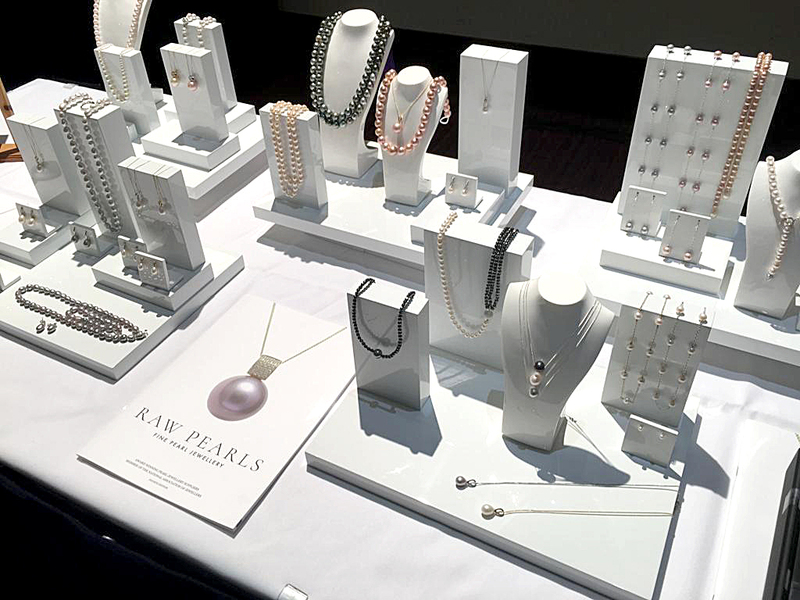 Over the last 12 months, the independent jewellery retailers has been completely an action-packed ‘Seventy for Seventy’ fundraising itinerary – bidding to raise £70,000 for the Royal Berks Charity during its big anniversary year. 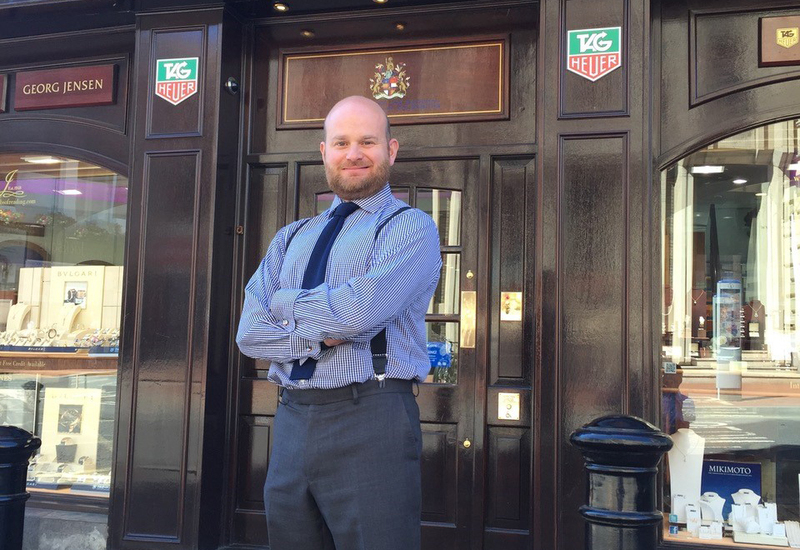 Jacobs the Jewellers beats its ambitious target before the year-long itinerary ended, and in the end were able to present the Royal Berks Charity with a cheque for £93,588.94. 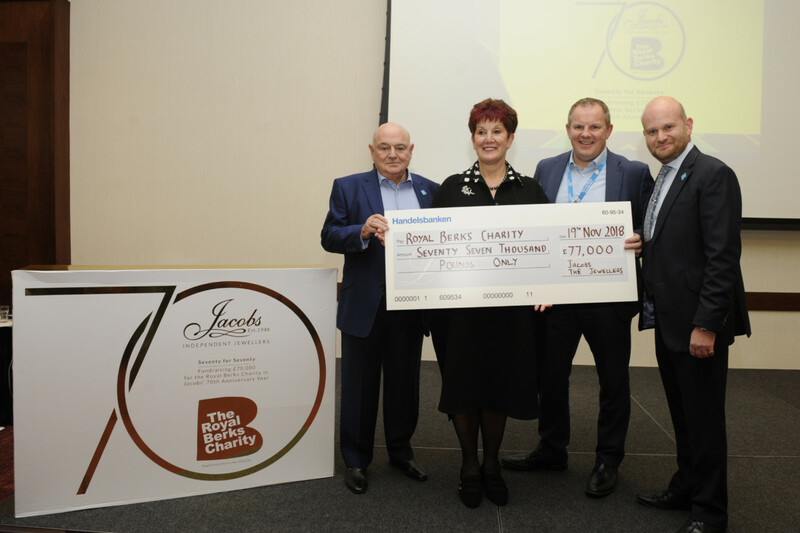 A series of events over the year helped the Jacobs team raise funds for a new surface guided radiotherapy machine in the Berkshire Cancer Centre, part of the Royal Berkshire Hospital NHS Foundation Trust. Events included sky diving, a local business raffle, a black-tie gala dinner, and special anniversary jewellery designs to name but a few. 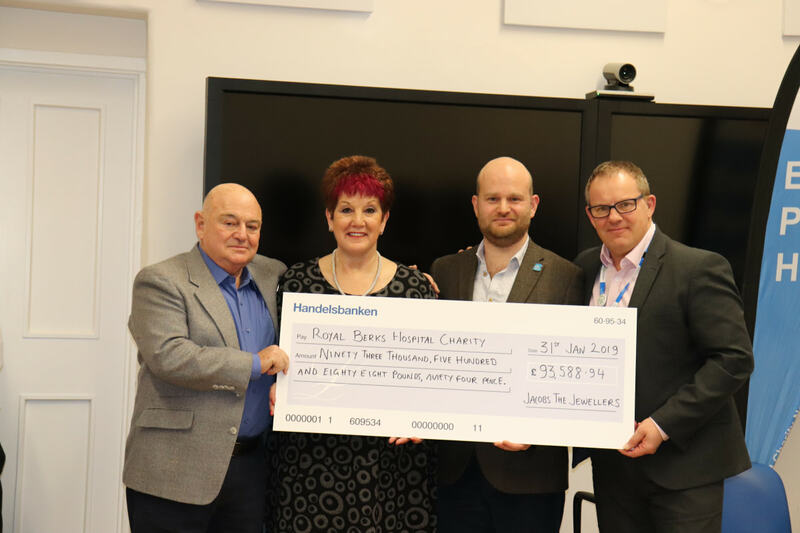 The cheque was presented by the owners of the business, Adam, Adrienne and Ian Jacobs, to Steve McManus, the chief executive of the Royal Berkshire Hospital at a reception last night. The family were joined by enthusiastic supporters and friends during the evening as well as representatives from the Royal Berkshire Hospital. 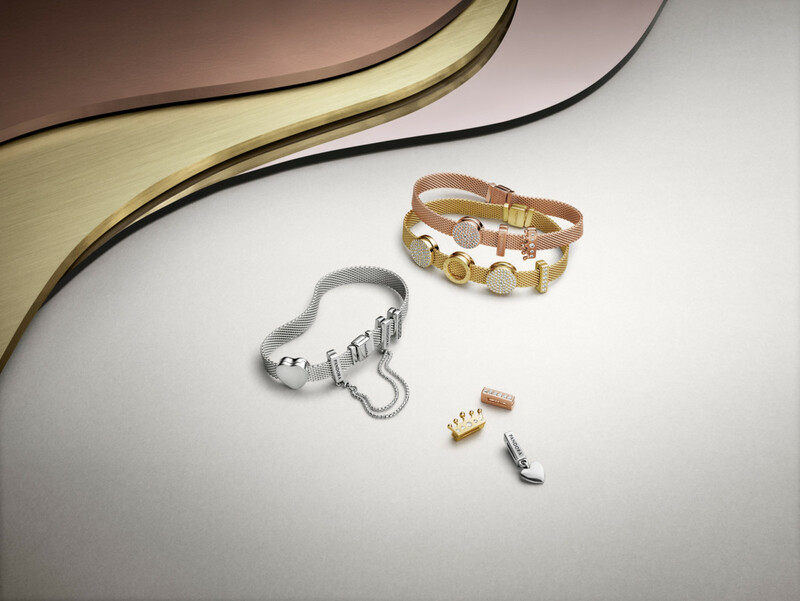 The jeweller reports: “We’re absolutely amazed by this amount and so happy about it. When we set out to raise £70,000 for our 70th, we thought it was a big challenge. It wasn’t easy and we’re truly grateful to all the customers, businesses – an enormous amount who are local to Reading – and to our team.